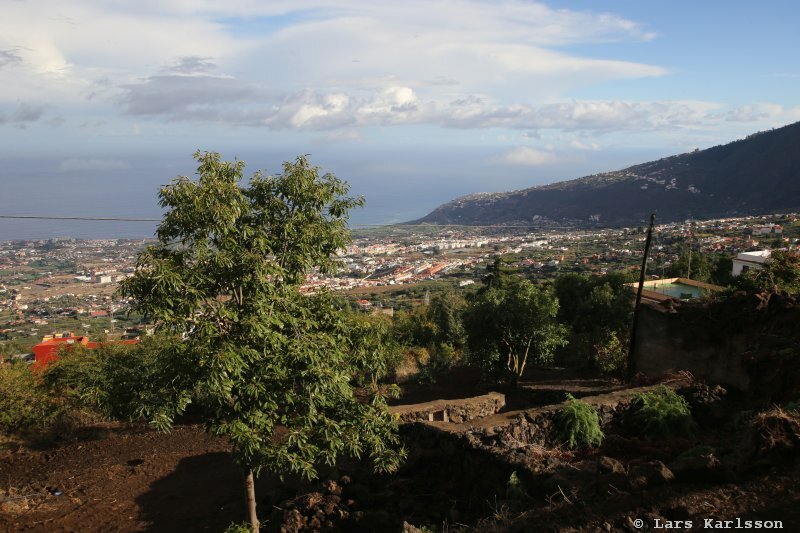 In November of 2016 we decided to visit Tenerife for a second time. For us who live in the cold and dark Sweden at winter time it's a perfect place. But it's not only the sun that's attractive. 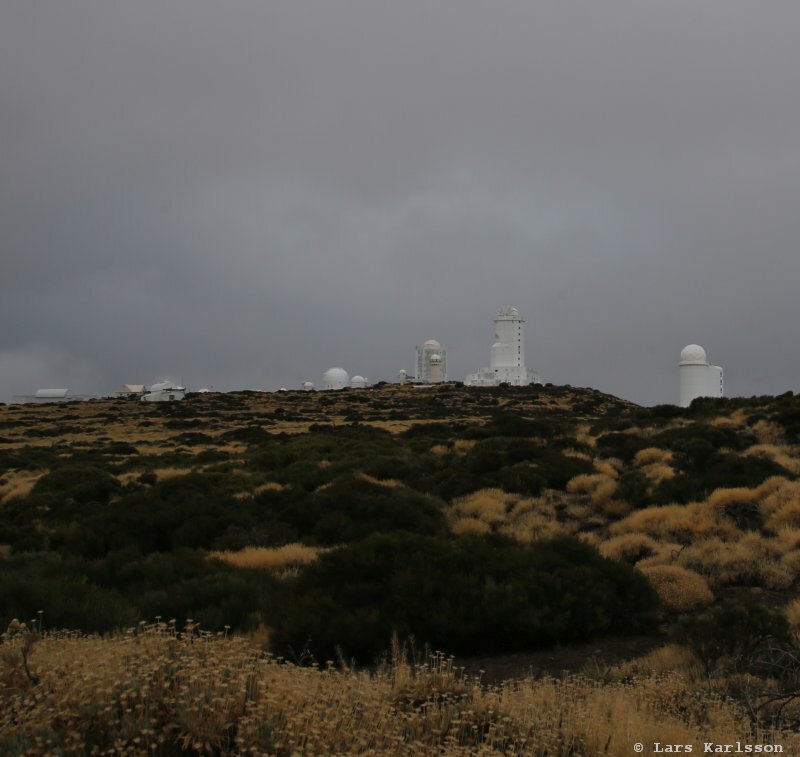 At this island you have relative dark and clear nights if you go up in the mountains. 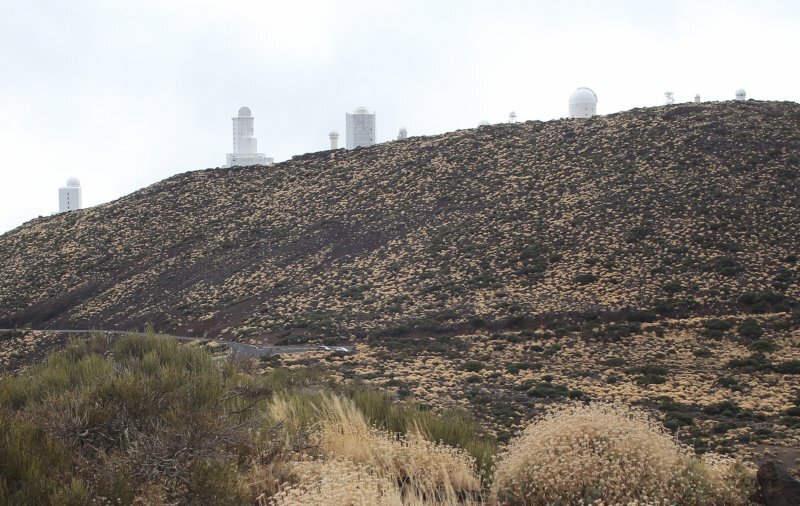 Spain has also an observatory here since 1960, the Teide Observatory. That's is what we shall visit today. 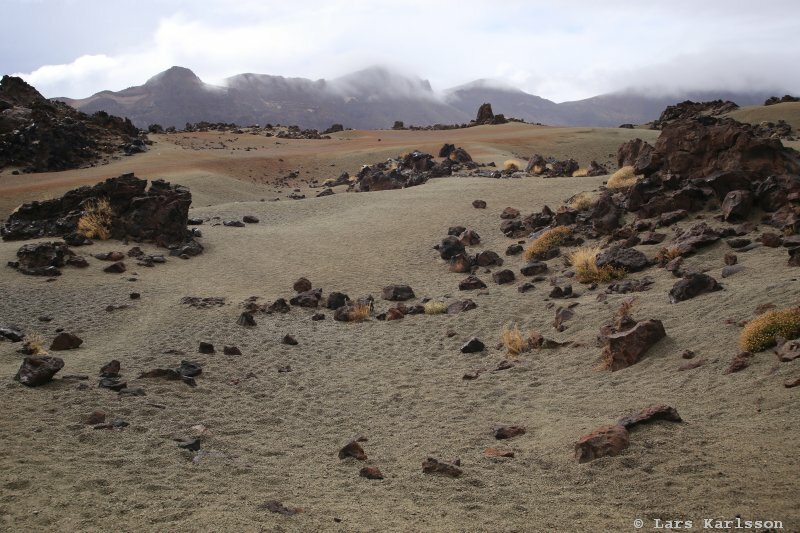 We have read about guided tours but couldn't make contact with them, maybe because of the bad weather today, almost snow at the higher altitudes. 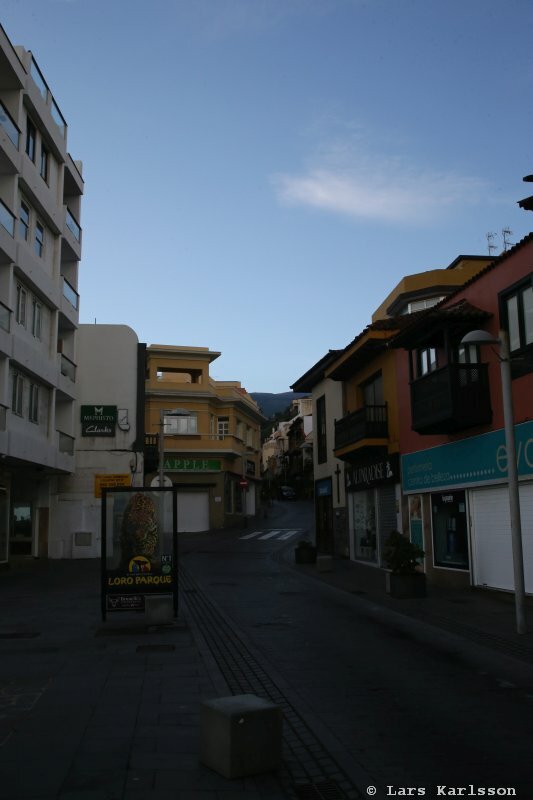 You can see the mountain between the houses. That's where we shall go today. 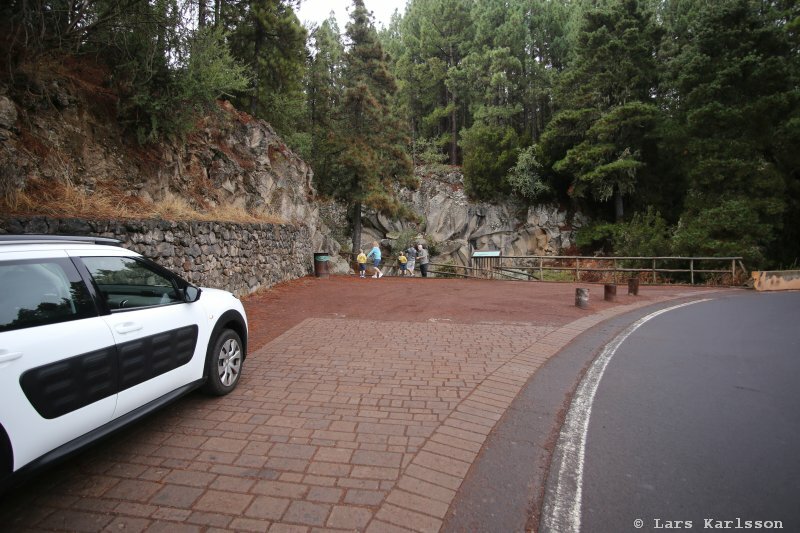 Last time we was at Tenerife we took the local bus up to Teide to do a visit at the top. 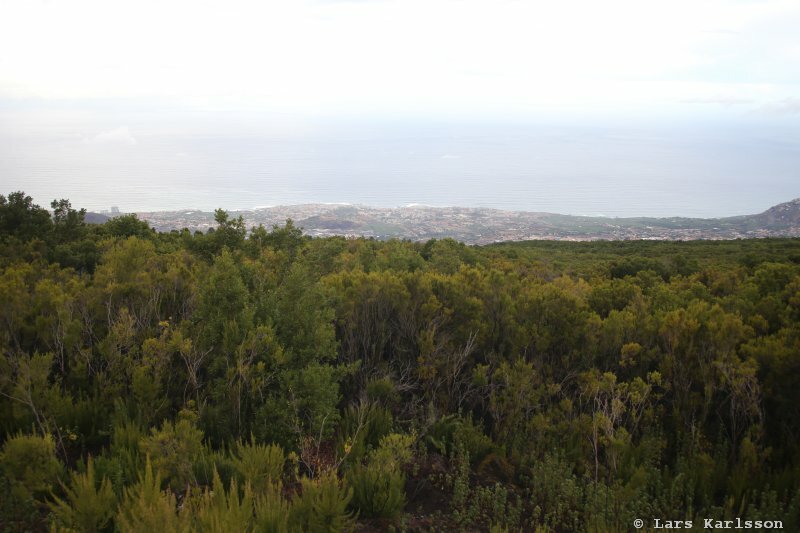 This time are our plan is to move from Puerto de la Cruz in north to southern part of Tenerife. 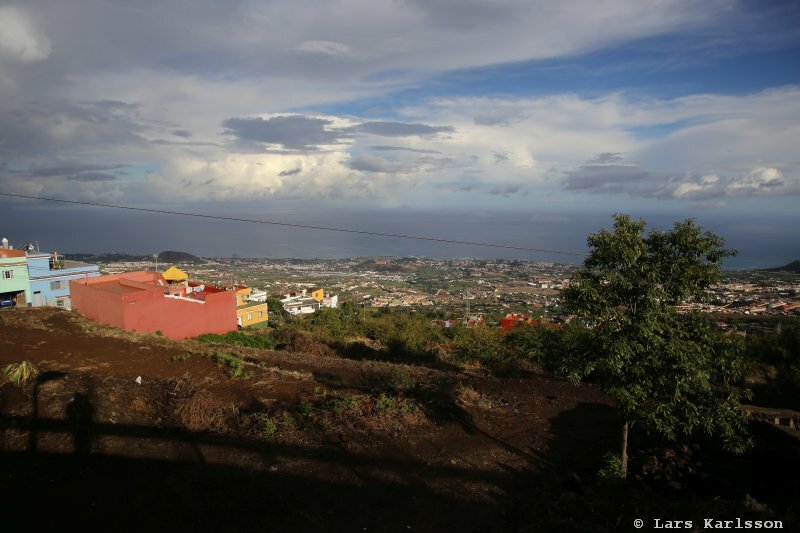 It's more common with clouds in north but we like the town. In south it's more for the sun lover tourists. 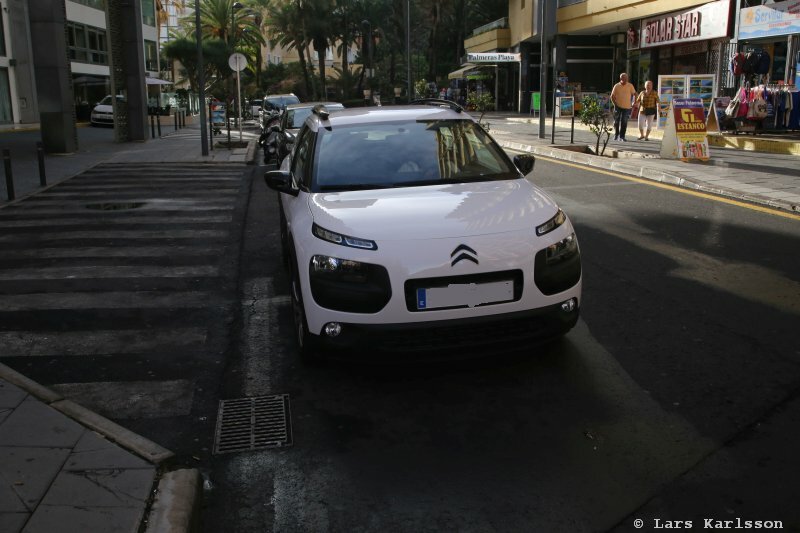 We rent a car, a French white lady for one day, we leave the car in south and have no plan to go back to north. 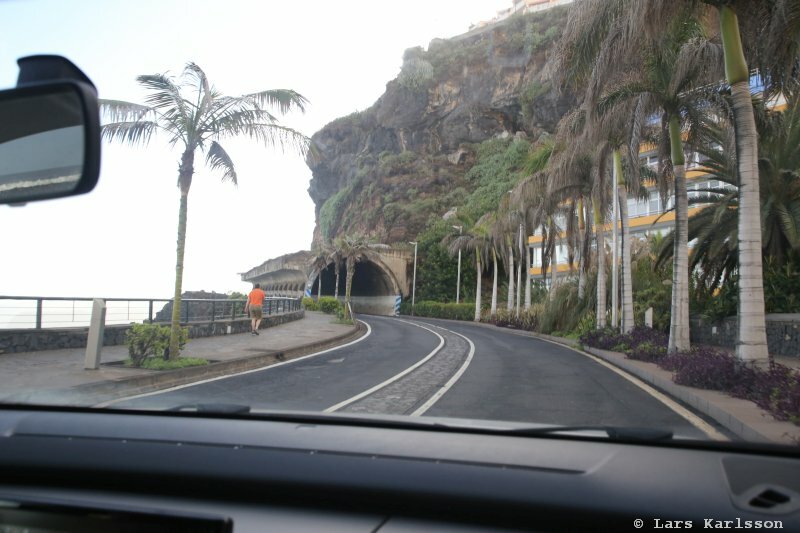 We will also driving around the island and look at exiting places, you can read about that at another place later. 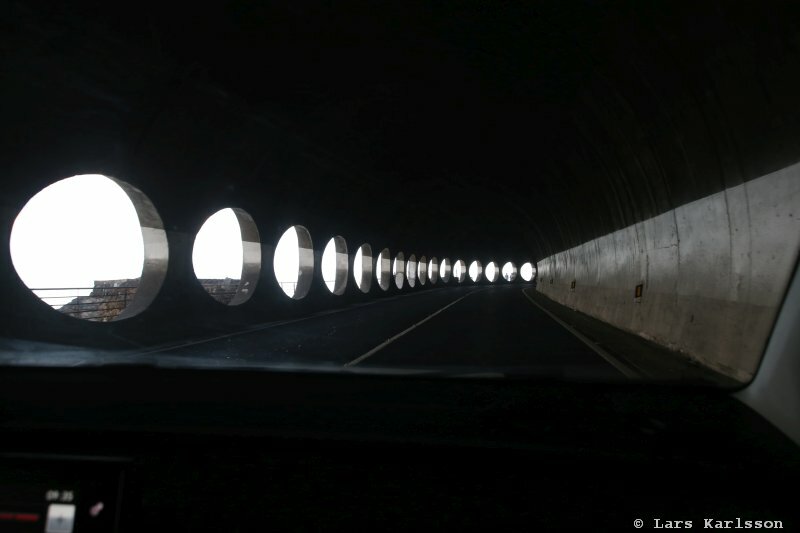 From Puerto de la Cruz we take the road along the coast and through the tunnel. 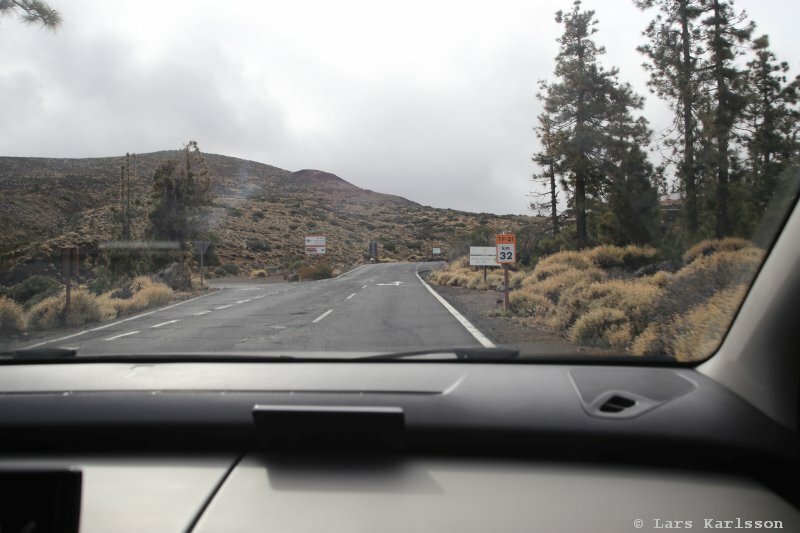 Google map and the road to the Tiede observatory, 38 km. 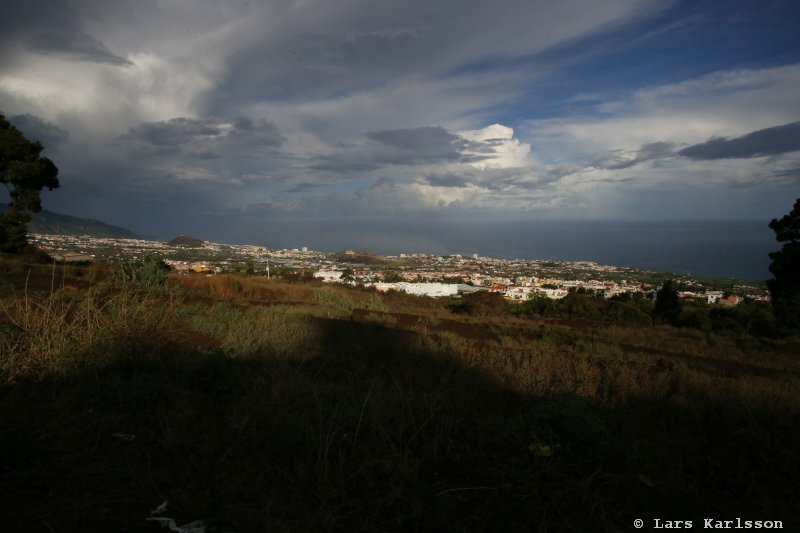 First stop to get a view over Puerto de la Cruz. 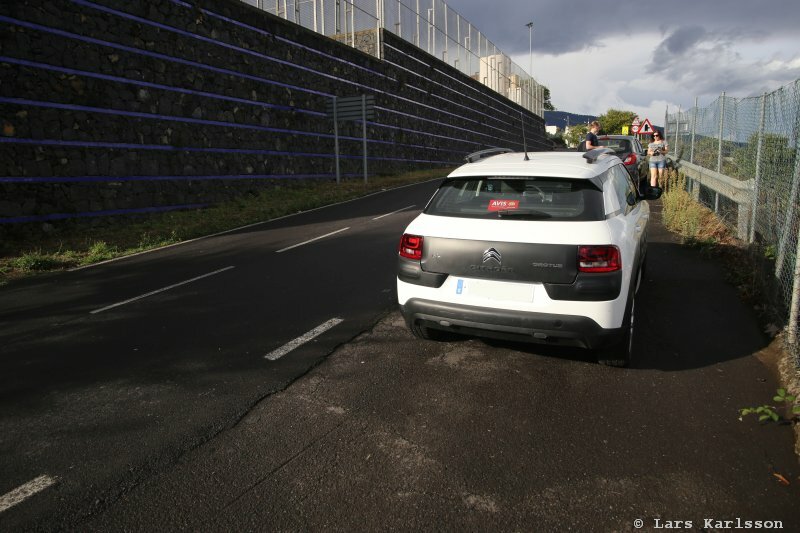 The road is step and you have to drive with low gear. 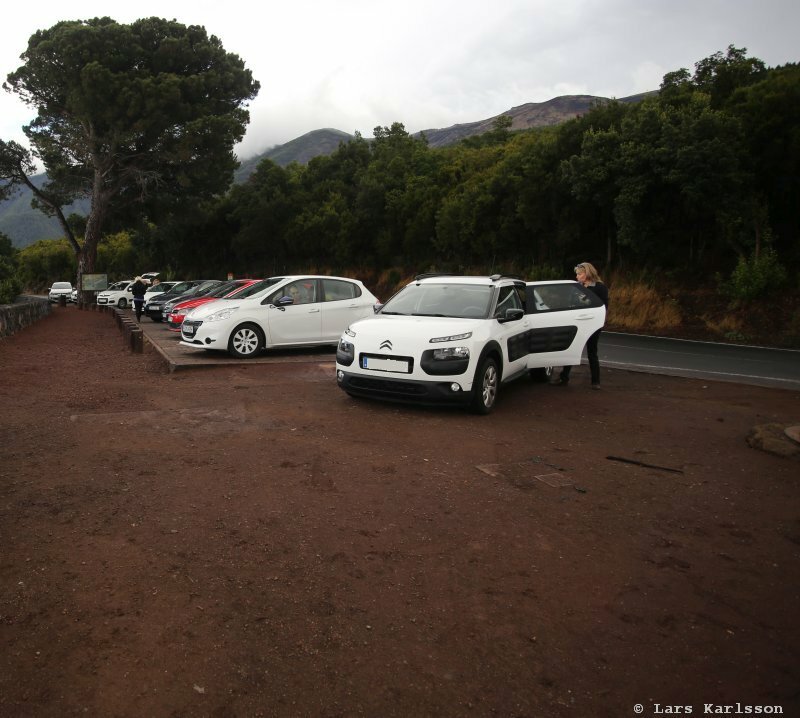 There are a lot of parking lots along the road to the observatory and Teide. Gunilla is the driver today and she like the rpm friendly car. 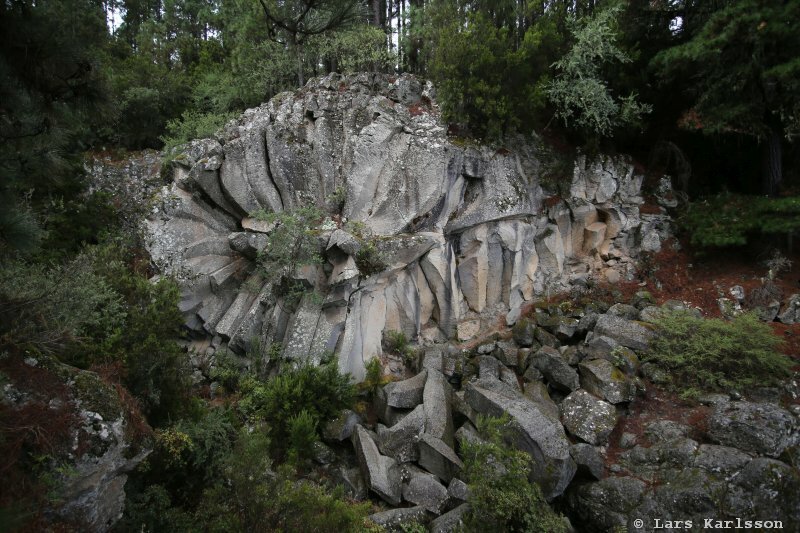 We stop once again to look at a strange formation in the rock. It's the rest of a magma flow. 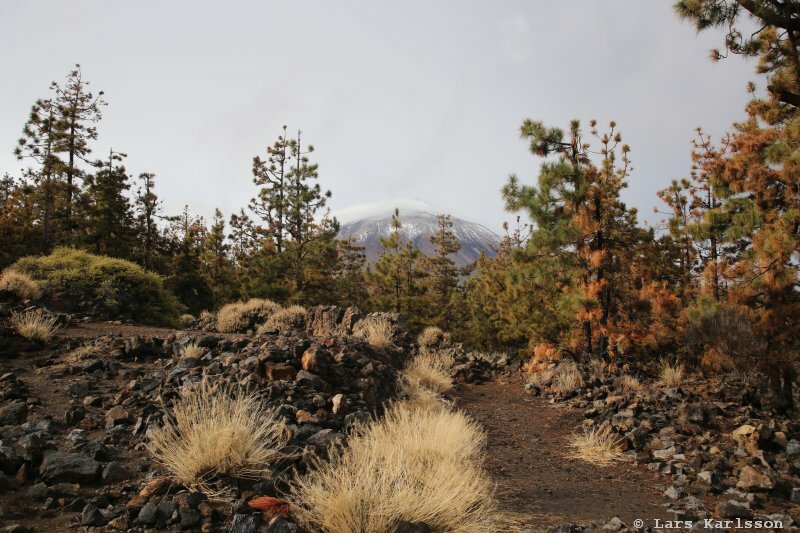 Teide it self in the background, 3718 meter high. At this sign if I remember correct the altitude was 1200 meter. 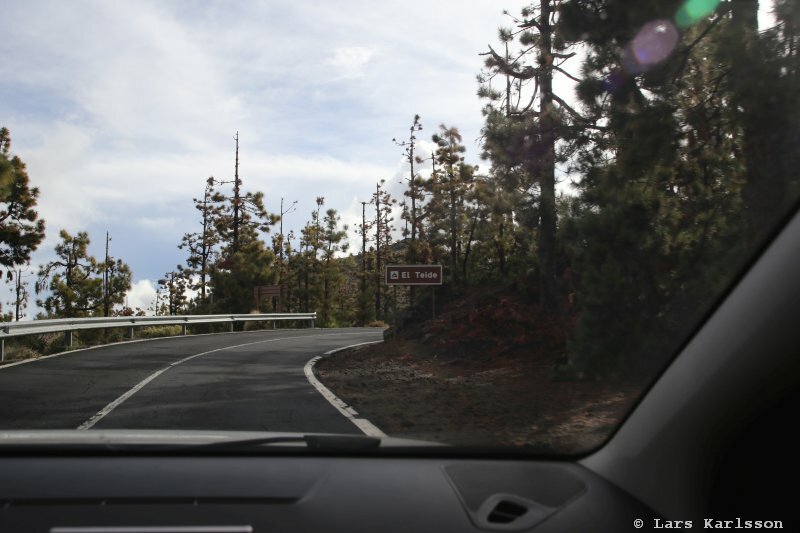 In front of us the road to Teide, the road to the left is to the observatory. But first Gunilla want a brake for a cup of coffee. At this restaurant I think it was possible to rent a room also. 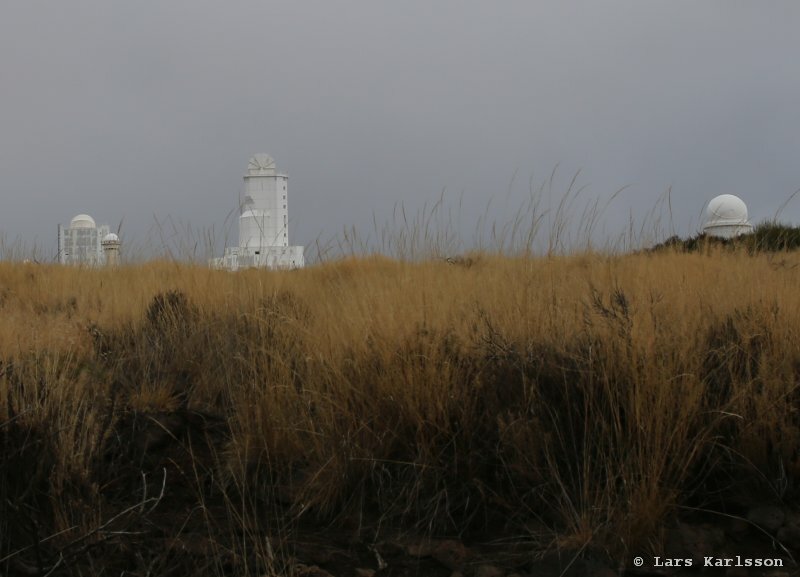 Practical for them who want to do observations up here. 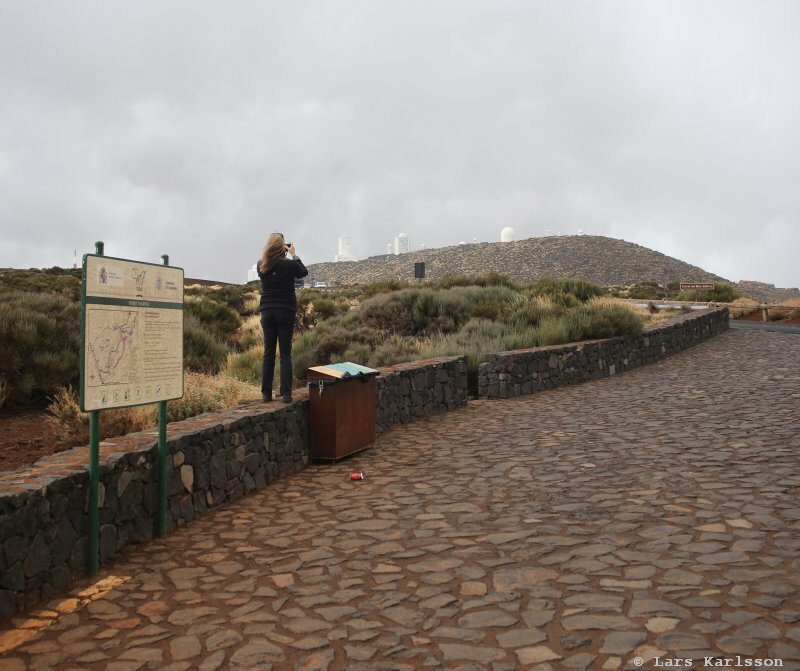 Now at last we reach the Teide observatory, 2390 meter a.s.l. It's very windy and unfortunately the temperature is around zero and it does not only rain but falls hail. 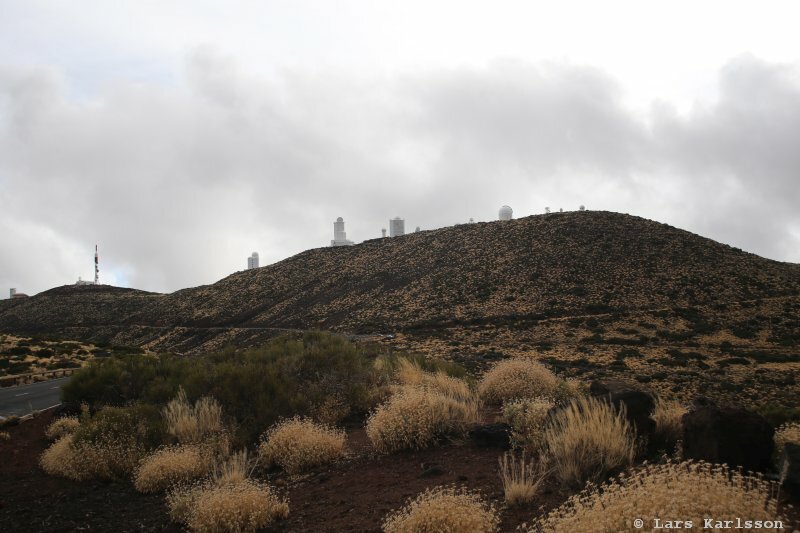 All telescopes up here are very small compared to the telescopes at La Palma I visited earlier. 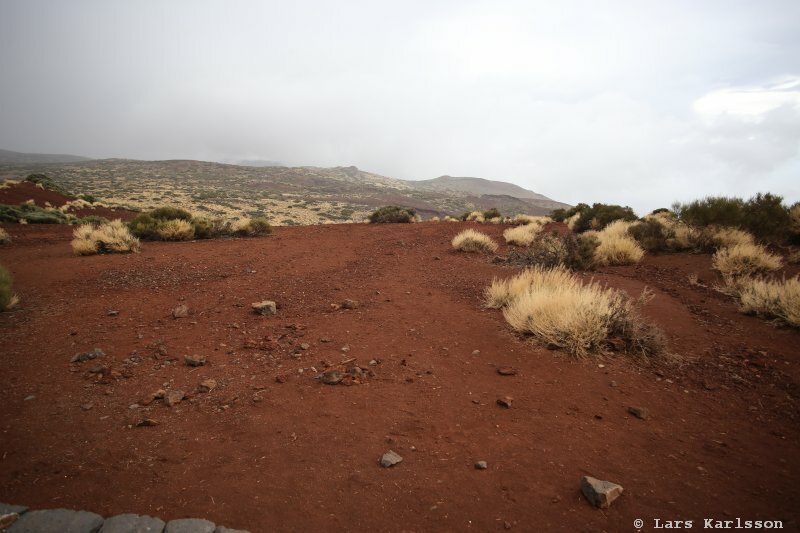 The landscape is very Mars looking, the red sand. A last view before we go on for other adventures. 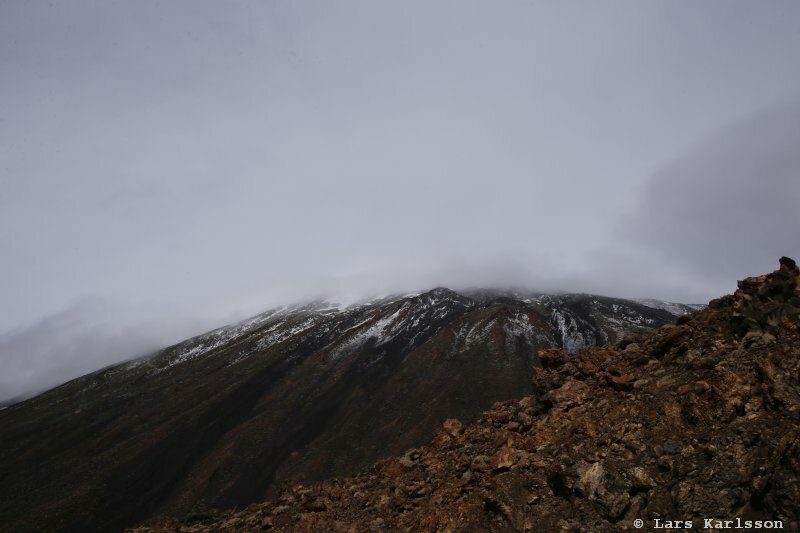 Teide with the top covered by clouds.